Throughout the year, special guests are invited to our dance school to inspire students with various teaching styles and performance works. As well as enjoying the visits of in-house guests, students are invited to attend workshops and summer-schools offered by various agencies throughout Brisbane. 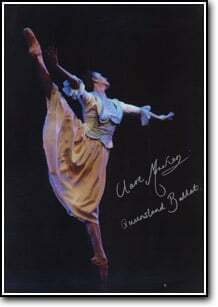 In 2010 our adopted dancer from the Queensland Ballet Company was Clare Morehen (Principal Dancer). We would like to thank Clare for continuing to inspire us.